If working in the Transport and Logistic Industry is your ambition, JobTestPrep can provide exhaustive information about the sector and advise you how to prepare for your upcoming pre-employment assessment. On this page below, we discuss job opportunities that are available in the Transportation and Logistic Sector and tell you what skills you should develop to qualify for your desired position. We also offer practical assistance: our PrepPack™ contains an arsenal of tests modelled on the official tests, some of which will be administered to you during your recruitment process. Added to them are interview materials and study guides designed to help you secure a place in the company of your choice. Study with our resources and start contributing to the development of the Transport and Logistic Sector. Prepare for Australia Post Graduate Program, Psychometric Tests Practice and Interview. What Is the Difference between the Transportation and Logistic Industries? Although these two industries are related, both effecting movements from one location to another, they differ on several points. 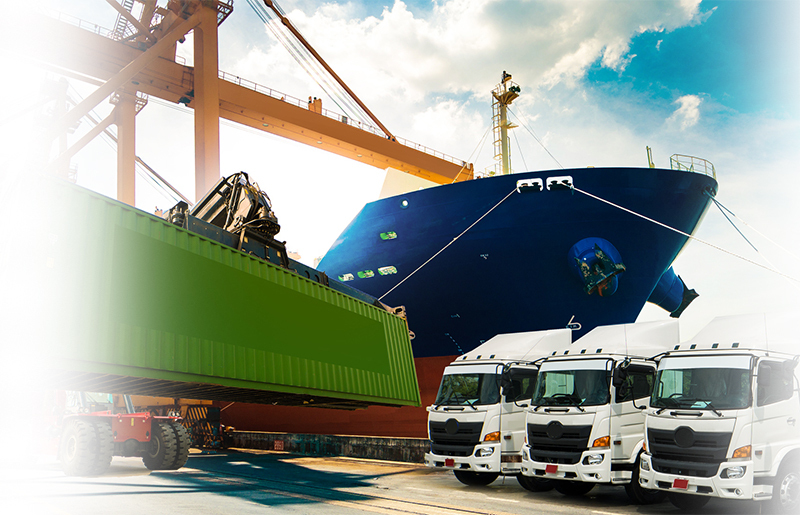 To begin with, the Logistic Industry is broader, with the transportation industry included within it. Transportation is a function within the Logistics, limited to the movement of goods from place to place and focusing on the means of their transition: on air, sea, or road. Logistics, by contrast, is responsible for other operations, among which are storage, handling, inventory, and packaging. Those companies that belong to the Transportation Industry often have ups and downs in their earnings and depend for their success on the price of transportation services. In general, when individual people and businesses spend less, the transportation industry suffers. When the economy improves, and people want to travel more, transportation companies see increases in their activities and reap profits. There are also other factors that can negatively or positively influence the company’s earnings: fuel costs, political events, demand for services, and the regulation enacted by the government. The most obvious example of the industry’s dependence on geopolitical events is the rise of the airline stocks due to low fuel prices. For the last several years, the prices of crude oil were just above US$50 per barrel on good days, sinking as low as $30 on bad ones. Boosted by low fuel prices, the stock value of the American Airlines, for example, jumped to $US59,08 in January 2018. Now, in June 2018, when fuel prices climbed to $US76.22, shares of the American Airlines sank whooping 6.3 percent, dropping to US$42.96. Sharply higher fuel prices are now making a negative impact on the carriers and are expected to push their stocks further into negative territory, if fuel costs continue soaring. The Transportation Industry offers different modes of transferring people to a desired destination point. In addition to flying by air, people move around on trains, busses, boats, and trucks served by different professionals. Airlines - When you fly with any passengers or cargo airline company, you are helped by airline and commercial pilots and flight attendants. Air traffic controllers monitoring the movement of airplanes also ensure the safety of your air trip. Trains - When you travel by trains, your journey is made possible by the professionalism of locomotive engineers, conductors, yardmasters, rail yard engineers, and railroad operators. Buses - Whether you take a bus to get to work or use charter buses for sightseeing trips, you are helped by bus drives who ensure your transportation. If you want to reach your destination quicker, you can take a taxi operated by taxi drivers. Limousine chauffeurs can bring you to where you need to be as well. Water Transportation – If you want to travel by a ship or a boat, you will be served by water transportation workers or, as they are often called, merchant mariners, who are usually employed on cruise ships, ferry boats, tugboats, barges, merchant ships, and deep-sea vessels. While travelling on any of these vessels, you will have an opportunity to meet captains, deck officers, pilots, sailors and even ship engineers, marine oilers, and motorboat operators. Trucking Industry – Here employment is found by heavy and tractor-trailer truck drivers who transport goods within one country or across continents. Depending on their specialization, truck drivers can work for general freight trucking, specialized freight trucking, or wholesale trade companies. In this sector also work delivery truck drivers, whose responsibility is to pick up and deliver small shipments and packages. Commissioned to bring goods from distribution centers to business offices and homes, delivery drivers work on smaller trucks than drivers of heavy and tractor-trailer truck drivers. In addition to drivers, the Trucking Industry offers work to hand laborers, material movers, and material recording clerks. People move across the Great Britain with the help of road transport, air, rail, and water networks. There are as many as four hundred seventy-one airports and airfields in the UK and 11 heliports. Heathrow Airport is the largest airport by traffic volume and the world’s busiest airport. Gatwick Airport is the second largest airport in the country. The third largest is Manchester Airport. The largest airline in the UK by passenger traffic is easyJet. British Airways in the largest by fleet size and international destinations. There is also rail transport that includes international rail services, rapid transit, urban rail, trams, and light rails. Road transport in the United Kingdom is represented by buses, coaches, and road freight transport. Forty five percent of goods enters the country by sea. The main ports in the UK are Grimsby and Immingham on the East coast, Port of London, on the River Thames, Milford Haven, in South-West Wales. When travelling by water, depending on the purposes of their journey, people take merchant marines, ferries, and cruise ships. Peel Ports Group, which is six UK ports including Liverpool and Manchester Ship Canal. To become employed in these companies, practise with JobTestPrep’s exclusive materials. We have brought together in our PrepPack™ accurate test simulations and accompanying study guides and score reports to facilitate your learning process. Prepared by us, you will secure for yourself a place in a transportation company of your choice. Managing of partners and vendors. What Degree Do I need to Work in the Logistic Industry? Many employers in the Logistic Industry expect their job applicants to hold a bachelor’s or master’s degree in Logistics. If you apply for an engineering position, you need to have a degree in engineering. Depending on the position for which you compete, you may be required to have professional qualifications. Those who want to become employed as a driver, whether of a bus, or lorry, or coach, need to receive a Driver Certificate of Professional Competence (Driver CPC) or apply for a National Vocation Training (NVT) concession. Applicants vying for a role of the Merchant Navy officer are expected to hold either a nautical studies foundation degree, HNC/HND, or a bachelor’s degree from a maritime college or university. You also need to obtain the Officer of the Watch Certificate of Competency from the Maritime and Coastguard Agency (MCA). With this certificate, you will be able to work on any merchant ship not only in the United Kingdom but also in any other country in the World. This position does not always require a college or university degree. Work Experience is often sufficient to get employed as a Freight Forwarder. Yet if you want to move subsequently to a higher level in your company, a bachelor’s degree will increase your chances of being promoted. To succeed in the role of a Freight Forwarder, you may have a degree in business, management, accounting, finance, economics, geography, supply chain management, and transport and distribution. What Skills Should I have to Work in the Logistics and Transportation Industry? What Are the Biggest Employers in the Logistic Industry in the UK? Gist – This company provides supply chain services that include customer fulfilment and end to end management. Among its customers are Marks & Spencer, Starbucks, British Airways, and Carlsberg Group. HOYER – This is an international logistic company specializing in moving liquids – chemicals, foodstuffs, gas, and mineral oil – in tank containers, flexitanks, and IBCs by road, sea, and rail. Stobart Group – This is an infrastructure and support service company, specializing in energy, aviation, and rail. Wincanton plc – This company provides transport and logistics services for businesses. It also offers container transportation, storage, and warehousing solutions. The company’s markets include retail, consumer goods, construction, dairy, defence, fuels, and energy. If you want to build a career in the Transport and Logistic Industry, ensure your success by practising with JobTestPrep’s sophisticated materials. Our resources include close simulations of the tests that you are likely to meet during your pre-employment assessment. Our PrepPack also contains answers to the most frequently asked interview questions along with the useful tips on how to impress your potential employers with your knowledge and personality traits. Avail yourself of the opportunity to practise with our materials and become a part of a company working in the Transportation and Logistics Industry.